The anti-aging market has never been more popular. Baby boomers, in addition to millennials, are fueling the market as they seek out anti-aging products that will promote longevity and youth. There has been and will always be a desire to look young and healthy, the anti-aging market will never go out of business. Consumers will always want to reduce or diminish the effects of aging; with BioThrive Sciences’ manufacturing services, our clients have the ability to deliver a product that leads in the market. Consumers love supplemental products that aid in the reduction of wrinkles and photo-aging, and promote glowing, firm skin that is full and smooth. Anti-aging products like supplements encourage a multibillion dollar industry that is expected to keep growing due to a decreased mortality rate. 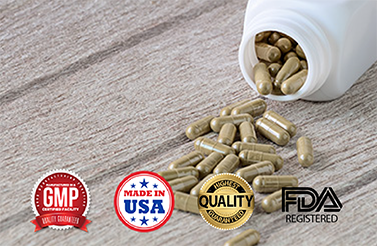 BioThrive Sciences can help clients formulate the most popular and innovative ingredients for anti-aging private label and contract manufacturing. The demographics surrounding anti-aging products show that these consumers control over three quarters of the United States’ assets. More and more of our clients are capitalizing on these lucrative business opportunities and sales. Additionally, as consumers age (usually above the age of 50) they become area-focused when taking supplements. This means their buying habits shift toward vital organs and overall health, opposed to anti-aging related to appearance. Supplements like calcium for bone strength; vitamin D for absorption of calcium; and B12 for energy all shift in popularity in this age bracket. BioThrive Sciences offers single-company overhead for full service supplement manufacturing; our clients enjoy the ability to plan, formulate, and create custom products that appeal to their target audience. Additionally, we offer label design and printing, distribution, and marketing consulting to all of our clients. Contact BioThrive Sciences today to learn more about our services, call: +1 (844) 263-3657.